Every accomplishment begins with the decision to try… Everyone’s story of their path to becoming vegan is as different as the people themselves. Many decide to live a vegan lifestyle because they see animals as sentient beings and can no longer be part of a cycle which causes pain and suffering to the animals who live in our supposed food chain. Others have come to understand that the greatest positive affect they can have on our environment is to exclude all animal products from their life. Some have adopted to this lifestyle simply because they believe it to be healthier for themselves. For many, it is the combination of all of these ideas that starts them on the path to a plant-based life. For me it was a little different; it was a very slow process of removing the blinders that had been covering my eyes for decades. For the majority of my life, I lived like most people; taking weekly shopping trips to the grocery store looking for good buys on meat, veggies, dairy products and pantry items. I looked at labels, believed them and bought what I thought to be healthy’ish choices for my family at prices I could afford. This was all I knew and all I had been taught by my mother. It was simply the way it was and the way it had always been. During this period, my oldest daughter had decided not to eat meat at the age of five, and so her meals were as vegetarian as I could make them. I knew really nothing about nutrition and a vegetarian lifestyle but did my best. Knowledge is power, but only when it is applied … I moved to a 150-acre organic farm which homed highland cattle, laying chickens, pigs (occasionally) and once each year, what the industry and farmers call, meat chickens or broilers. There is also a stocked pond with fish on the property, and a number of dogs and cats. During this time, I began researching pesticide and herbicide use in the food industry and did not like what I saw. So for most of my time on the farm, we organically grew all of our own veggies and raised beef, chicken, pork and eggs for our own consumption. I made my own bread, cookies and cakes, my own lemonade, mayo, pickles and ketchup, soups and stocks and almost everything you can think of. It was a ton of hard work but made my grocery store trips few and far between. At this point, my oldest was vegan and my middle daughter had become vegetarian. I was participating in meatless Mondays and the odd vegetarian meal but I was not buying into the vegan lifestyle. I found that many vegans were what I described as hard-core and found myself defending my omnivore lifestyle with them in person and on social media. I justified my position by saying that I did not participate in the meat industry and that every one of my animals were treated with respect and care, which they were. They were spoiled; they did not live the life of the animals in the industrial farm settings. That was, until I sent them to be killed and put into my freezer. I felt quite strongly that for me this was a great way to live. I am an addicted researcher and began exploring the industrialized meat industry. The more I learned, the more I felt the need to continue investigating. What I found was disgusting and almost unbelievable, but my stance remained - I was raising my own food and was therefore not part of this horrendous production. I also began to sell products from the farm in an attempt to keep others from participating in these industries. Your eyes will only see what your mind is prepared to comprehend… My oldest daughter asked if I could help with writing articles for her blog. I love to write but it was a vegan site and so most of my articles were based on research rather than personal experiences. It was during the research for plant-based articles that my blinders slowly began to come off. I very quickly came to realize that facts do not cease to exist just because they are ignored. I began to grasp that, yes my animals were well looked after, they were not beaten nor were they starved, mutilated or made to live in filthy confined areas with other abused animals, but they were sentient beings. They, like us, did not want to die. They were not put on this earth to become a spot on my dinner plate. I finally came to understand that they experienced love, sadness and pain just like we do. My cows did not want to become steaks; my pigs were not just bacon and chops; and my chickens would fight not to end up as stew or fried pieces of their body parts. This epiphany was a punch in the stomach, a knife in my heart and a huge wake up call. Deep down you already know the truth … After a long and winding road, my blinders finally came off. I realized that animals do not need to die for me to live. I do not need to eat meat, dairy or eggs in order to be healthy. I see that a vegan diet is filled with great tasting food. And I see that I really don’t miss cheese as much as I thought I would. I see that buying cruelty free products is as easy as a quick google search; that telling companies to stop using Palm Oil can be done in seconds on their social media; and that educating others can be accomplished without shaming. Through my research, I now know the truth about the industries that abuse and exploit animals for our food, clothing, medicines, cosmetics, sport and even our entertainment. I know the harmful impact they have on our environment. And, I know it does not need to be this way! Each of has the power to make a change. Each of us needs to become the best version of ourselves. It has been wisely said that the greatest threat to our planet is that someone else will save it. Thank you to my daughter for helping me to see again. 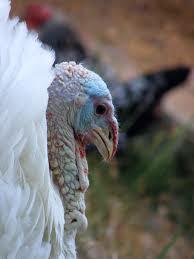 Celebrate turkeys as friends - not food. You can make a difference in an animals life by making a modest donation to Cedar Row Farm Sanctuary. Cedar Row Farm Sanctuary is located just outside of Stratford, Ontario. Cedar Row is a place of hope for animals rescued from abuse, neglect and slaughter, happening on meat, milk, and egg farms. Hundreds of farm animals including pigs, cows, goats, sheep, donkeys, rabbits, turkeys, chickens, ducks and geese, have been rescued since the sanctuary was established in 1999. 100% if the funds received, go directly back to the animals. Over 300,000 million turkeys are killed in Canada and the United States each year for Thanksgiving and Christmas dinners. They’re intelligent animals who enjoy having their feathers stroked and who like listening to music, with which they’ll often loudly sing along. In nature, they can fly 55 miles an hour, run 35 miles an hour, and live up to 10 years. 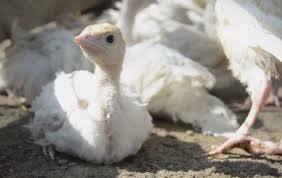 But the story is very different for turkeys on factory farms: They’ll be killed when they’re only 3 to 5 months old and, during their short lives, will be denied even the simplest pleasures, such as running, building nests, and raising their young. YOU CAN MAKE A DIFFERENCE! See the Food section of my Blog for some great plant based recipes, and DONATE to a turkey or farm rescue like Cedar Row! 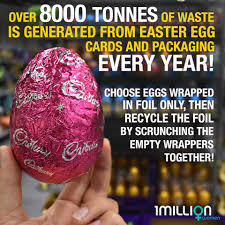 Over 8,000 tonnes of waste is generated from Easter Egg cards and packaging every year! We have to do better this year. Here are some easy things you can do to bring that number way down. 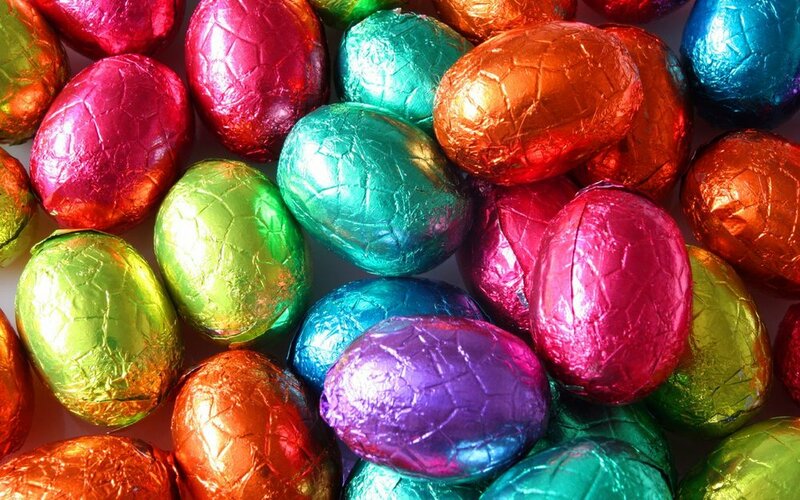 One of the easiest and most important things you can do is to buy your Easter treats from a bulk food store (bring your own reusable bags). Choose either foil wrapped candies or unwrapped treats. There are beautiful wooden eggs available for you to stuff full of the kids treats. Mason jars and reusable bags work great as well. If you are going to buy from your grocery store, look for foil wrapped items with as little packaging as possible. And for those of you who have the time and talent, nothing says love like homemade treats. 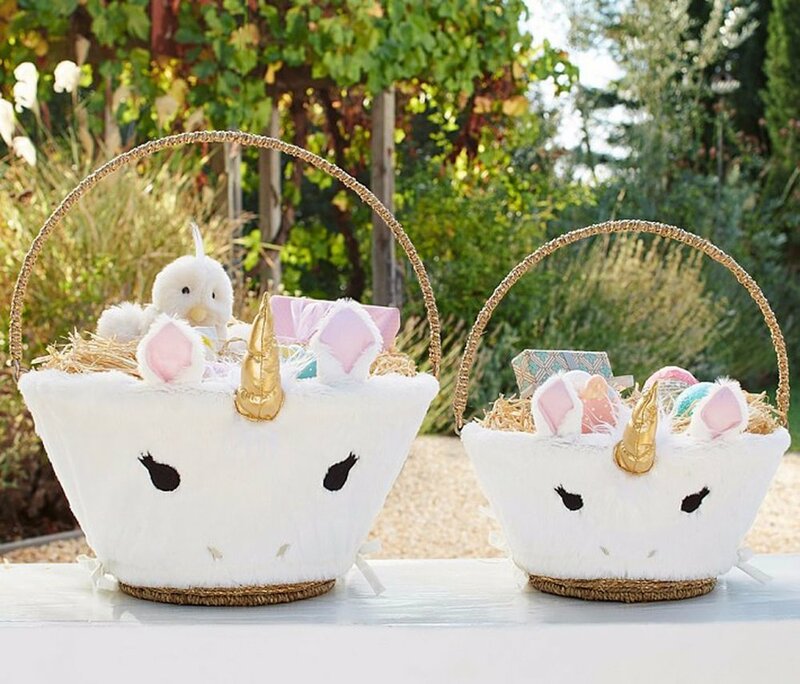 All Easter baskets should be reusable. Buy a nice one that can be used for other things during the rest of the year. Skip the plastic shreds, the paper ones look and work just a good, or you can skip all together! Egg dyeing: There are tons of tutorials on line for amazing natural dyeing techniques. Did you know that regular dyes are tested on animals?! You can even use kitchen scraps to come up with some great dyes. Enjoy this great time of year but remember we need to look after tomorrow as well. Happy Easter! !